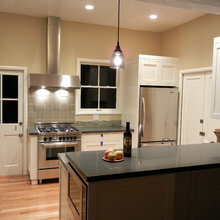 Metro Lighting provided design services and patient advice on a number of aesthetic choices for lighting throughout our straw bale cottage We are very pleased with their competence, the timeliness of supplying fixtures, and the beautiful lighting. We especially appreciate local sourcing and construction. 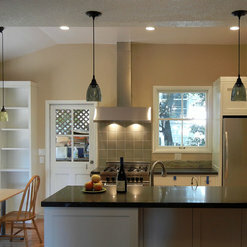 We have used Metro Lighting for several projects in the Berkeley area. 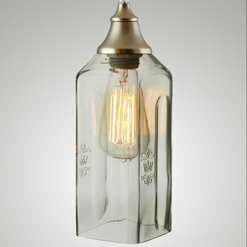 They offer unique one-of-kind fixtures that are made on-site. If you need something that isn't in their product line, they can make it for you. Great service too! The entire team at Metro know all aspects of their lighting. The designs are unique and classic. The quality is superb and the customer service excellent. 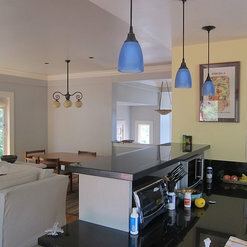 ordered 5 custom pendant light fixtures - one exterior (entry way) and 4 interior (kitchen). company was professional, able to customize fixtures to my specifications with various suggestions for finer details of appearance of final product. Spent a lot of time with me, making sure that I had what I needed. 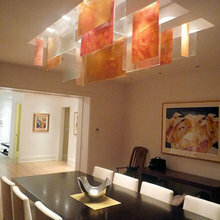 Metro Lighting is my go to lighting source for blown glass, and fun and interesting lighting i have worked with them on many, many projects over the past 15 years and they have always done excellent work that is both beautiful and functional. i also love working with them on custom projects where we have very specific needs. i LOVE working with Metro. Metro Lighting has been my primary resource for creating custom pendants, chandeliers and wall sconces for my clients for over 12 years. Christa & Lawrence, along with their team are always very helpful and knowledgeable. Whether you're restoring a vintage home or looking for something unique and modern, they work with you to create something truly special, made right in their studio shop. 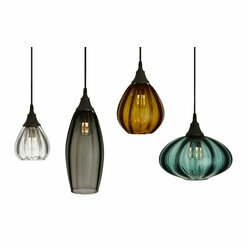 They have a wonderful selection of shades and light fixtures throughout the showroom to help with ideas. You are able to specify the shade, the stem, the finish and the exact dimensions of what you need to build the perfect fixture for your project, including specialty customized glass from local artisans. There's also a great light bulb station to view a vast array of light bulbs and how they will work with your fixtures as well. It's a pleasure to work with people like Lawrence and Christa who are so environmentally responsible, and extremely active and supportive in their community. 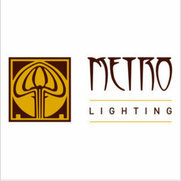 Christa and all the staff at Metro have been a great resource for custom lighting for probably 10 projects in the last year.. All on time great pricing, and the quality of the work is terrific. Always fun to be there and work with them on projects. 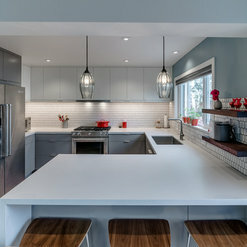 Commented: Love the pendant lights. 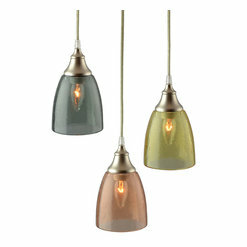 Who is the manufacturer?We at Metro Lighting in Berkeley, CA made the pendants.